This photo shows the view out from the inside with the perforated graphics covering the entire window on the outside. 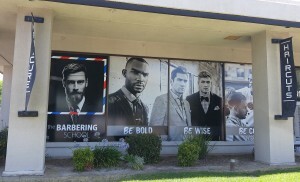 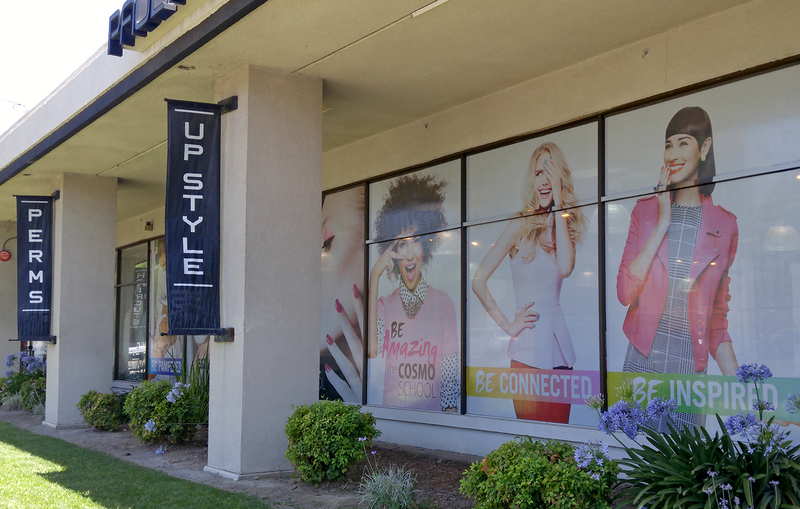 These windows were covered with a solid vinyl with a removable adhesive for ease of changing on future advertising. 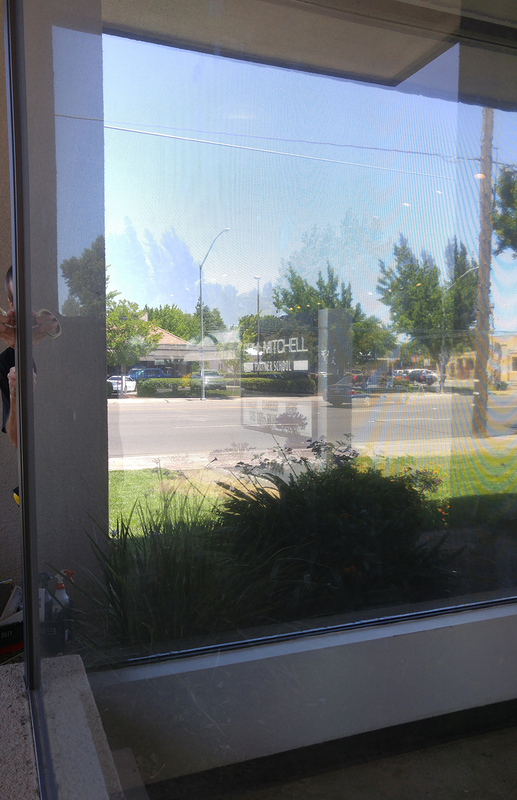 The solid graphics on these four windows completely block the light and visibility from the inside which is what the customer was needing.